We've turned a corner . . . I hope. It seems from the moment he turned 4, he's been grouchy and irritable. Forget the "Terrible Twos," this kid had a horrible case of the "Foul Fours" (yep, just made that up myself). He has yelled at me & Dirck, at his sister, at his classmates, and even at his teachers. Dirck and I can't figure it out. We're not big on yelling at home, so trying to figure out where (and why) he got this behavior has been a mystery. Lately he's been such a different kid from a few months ago. We haven't gotten a negative report from school in over a month. And while he's not perfect (who is, right? 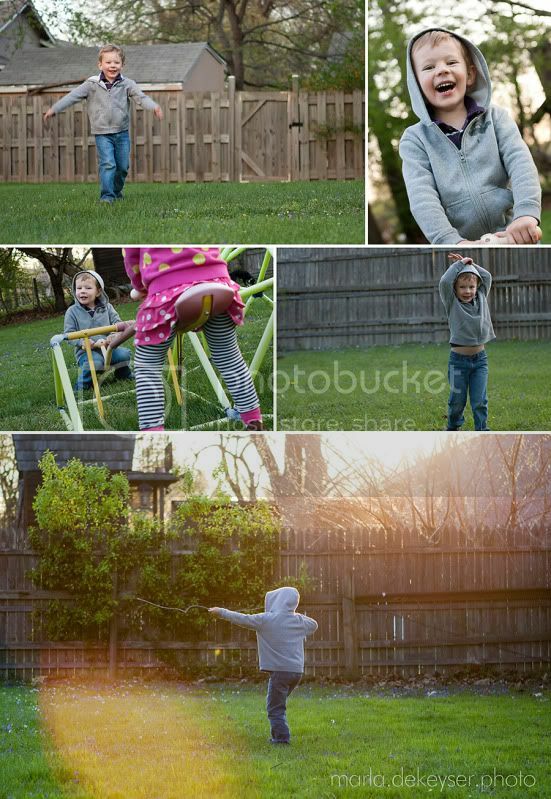 ), he's been pretty nice to his sister - playing with her and even asking her to play with him. Warms my heart . . . and gives me hope. So glad to hear it. Kids do seem to go through lots of stages where you just can't figure them out. Lately, it's been my nine year old here. Love It When She . . . Enjoying This . . .